Jessica Grace Coleman can assist. Whether you have completed your life's work and would like it checking through for mistakes, or have your first novel scribbled out on the backs of napkins and don't know how to proceed, Jessica is the professional freelance editor you've been looking for. What can Jessica do for you? 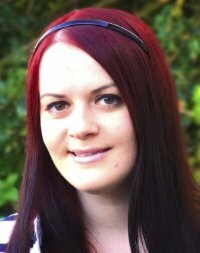 "Jessica ensures your requirements are understood before work begins and keeps regular contact"
Jessica also offers a content creation service where she will research and provide fresh, original content on your chosen subject. This service is commonly employed by website and blog owners who don't have the time to write it themselves. "If you have a writing-related project or problem, Jessica can help"
What kind of people does Jessica carry out work for? There are no minimum requirements. If you have a writing-related project or problem, Jessica can help. "Everyone worries about the quality of their writing"
Why should you contact Jessica to edit your work? Everyone worries about the quality of their writing. Jessica often works with people who are concerned their work is in 'a terrible state'. In fact, people often admit to her that they've taken so long to do anything with their writing simply because they were afraid of being judged. With a great sea of authors in the world, it's understandable that people worry how they'll compare. From my own experience, it doesn't matter what state your writing is in, Jessica can make any text ship-shape. As with most things in life, communication is key. Jessica ensures your requirements are understood before work begins and keeps regular contact to keep you updated on her progress. Every single one of her clients to date has been delighted with the work she has produced. If you need to see further credentials, Jessica has so far published four novels, each of which have received majority 5-star reviews on Amazon. "Jessica has so far published four novels"
Her very first novel, The Former World, reached number one on Amazon's list for its genre in May 2014 when the book was made available as a free trial promotion. Jessica is working on a further four novels to complete her first series. She has also published a book of her own short stories, with another one currently in progress. All work you submit to Jessica is in total confidence. Your ideas and works-in-progress will remain protected. Jessica also ghost-writes for numerous individuals, which by its very nature requires confidentiality. This may sound obvious but when Jessica edits work for you, the copyright always remains with you. Her job is solely to make the best of your work. "Jessica is upfront from the get-go about costs"
As you would want and expect, Jessica is upfront from the get-go about costs. Example costs are given below. Before focussing on her editing work, Jessica ran a well-known and respected monthly writing competition, 'Darker Times Fiction'. Numerous books have been published featuring the winning stories from these competitions. "I have never had to make a single alteration to any of the content Jessica has ever written for me." I have never had to make a single alteration to any of the content Jessica has ever written for me. The tone is always appropriate for my target audience, and the text is easily understandable and a pleasure to read. As Jessica's reputation as an editor has grown, she has recently been able to make the leap to working for herself full-time, supporting herself purely with her own skills while only in her mid-twenties. How much does Jessica charge for editing? The two most common services Jessica provides are basic editing, which checks spelling, grammar and obvious typographical errors, and in-depth editing, which involves rewording or rewriting your text to make it clearer and improve the flow. "Basic editing starts from £5 per 1000 words and in-depth editing from £10 per 1000 words"
Basic editing starts from, I think you'll agree, a very reasonable £5 per 1000 words, and in-depth editing from £10 per 1000 words. If required, Jessica also offers a free trial where she will edit a few hundred words of your text to make sure you're happy with the quality. To enquire about Jessica working on your project, simply fill in the information below. David Lawrence Coleman BSc (Jessica's Brother). Coleman Editing will only use the information you supply here to respond to your enquiry. The Privacy Notice has been updated to explain how personal data is collected, stored and processed.